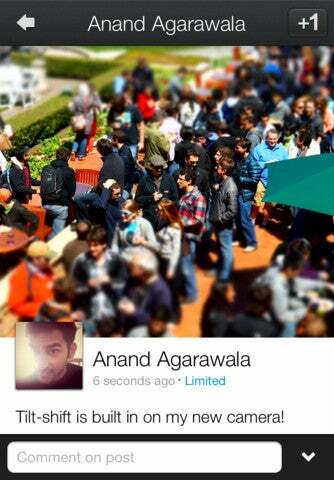 Google released an overhauled version of its Google+ app for iPhone, but Android users will have to wait “a few weeks,” said Vic Gundotra, the company’s Senior Vice President. The updated app has a new user interface with large photos and sleek animations, but not much new in terms of functionality. Gundotra said: “We’re not interested in a mobile or social experience that’s just smaller. We’re embracing the sensor-rich smartphone (with its touchable screen and high-density display), and transforming Google+ into something more intimate, and more expressive.” The new Google+ app for iPhone actually delivers that. The full-bleed photos, videos, large profile photos and elegant fonts make Google+ for iPhone a feast on the eyes. There’s also a bubbling-like animation when posts in the stream are loaded, which seems very natural to scrolling on the phone. The app is also fluid and responsive, a vast improvement over the basic Web wrapper the previous version was. 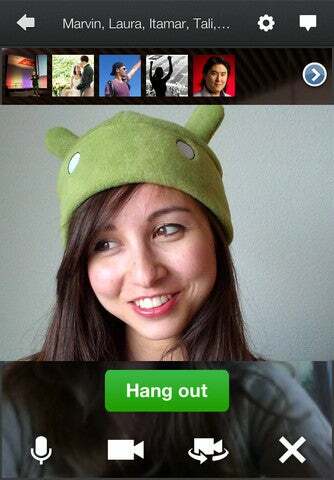 It’s interesting that Google did not launch the updated Google+ app UI for Android first, its own mobile OS. Instead, it chose to target iOS users first – iPhone users mainly, as the app does not have a dedicated iPad interface. Meanwhile, Google has been working on improving the Google+ interface for desktop browser users. In April Google+ received a complete overhaul, the +1 button now has a sibling, the Share button, and Hangouts On Air is being rolled out to everyone, allowing for simultaneous live streaming on Google+ and YouTube.